A couple of years ago I was visiting a friend that was trying to start a small indoor grow operation because they wanted to have great tomatoes year round. When this friend of mine started his project he was filled with enthusiasm and he asked me over to provide him with a little advice when he didn’t get the results he was looking for. The first thing I noticed was that he was using lights that were almost exclusively red in nature and that was his major mistake. Plants require different shades of light at different times in the growth cycle and by concentrating on one particular color he was starving his plants of the light they needed for growth. 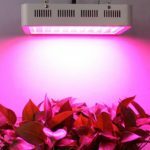 While lighting systems that operate on the full spectrum of available light are ideal they aren’t entirely necessary, but at the very least you do need a system that provides your plants with red and blue light. 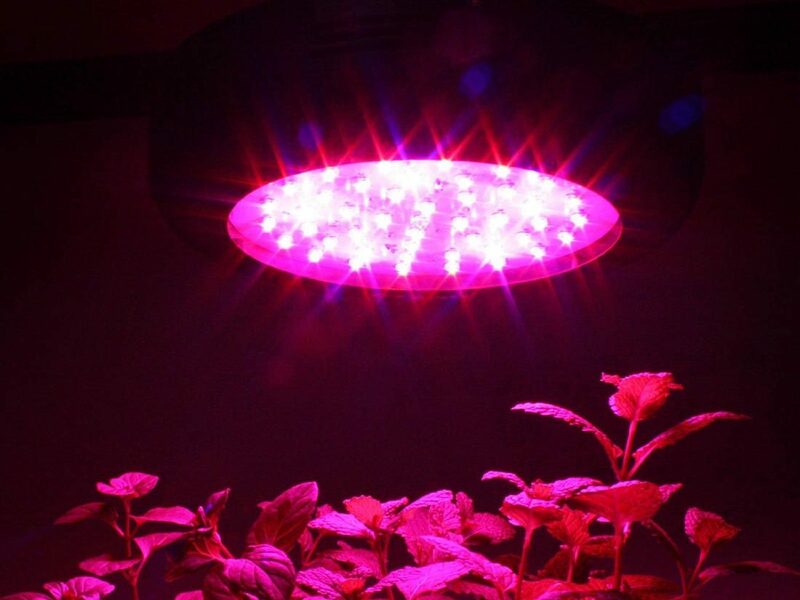 An affordable option is the Apollo Horticulture GL60LED; it doesn’t offer a full spectrum of light but it does cover the essential part of the spectrum. This light won’t cost you any more than about $200. 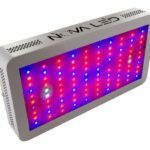 As we’ve already mentioned this light isn’t a full spectrum light, but it does cover the major parts of the spectrum that your plants really need for effective growth. 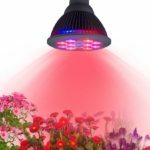 Some experts argue that infrared light and ultraviolet light are also essential to the growth process, but as long as you choose a lighting system that covers the red and blue parts of the spectrum you’re bound to produce healthy plants in the long run. With the vegetative and bloom stages covered you will produce healthy plants – they just probably won’t be mistaken for mutants. This lighting system is designed to be hung above your plants at a distance of no more than a couple of feet. In order to make this work the manufacturer has provided hanging wires that hook onto the lighting system and attached to a canopy above. If you’re using a grow tent these are ideal, but they will work in other circumstances as well. 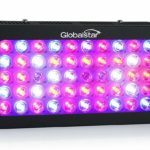 This isn’t one of the most powerful LED lighting systems on the market and so you don’t really need an extensive cooling system, but it does include one built-in cooling fan for the purpose. This is only a 180W lighting system so one fan should be more than adequate to keep your system nice and cool. 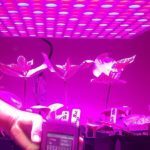 Of course any LED system will operate a lot cooler than traditional lighting systems so it has that going for it as well. 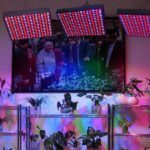 The manufacturer of the Apollo Horticulture GL60LED asserts that it will cover an area of about 5 square feet, which is pretty impressive for such an inexpensive option. That is, if it really does what they say – but there are more than a few customers that don’t agree with this assertion. In fact, it’s been suggested that you’ll be lucky if this lighting system covers about 3 square feet. That’s a considerable difference between what this product is actually capable of and what they advertise. One idea that the manufacturers of this light did get right is that they’ve placed their bulbs on a 120° angle, which is a good idea to provide them with the optimal light the plants need for photosynthesis. It’s a basic idea, but one that works well, and it’s surprising that more manufacturers of these products don’t include this in their design. This GL60LED light shares one thing in common with all other LED lights – it lasts for quite a long time. 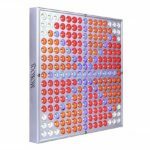 While the shelf life of LED lighting systems may vary from manufacturer to manufacturer, the minimum is normally about 50,000 hours and this system meets those specifications as well. If that sounds like a fairly long time to you, it’s because it is. This is a major advantage that LED lights have over other lighting systems which tend to burn out much more quickly. A complaint that seems to crop up continuously from people that have purchased this lighting system is that it simply doesn’t work as advertised. The output wattage is simply too weak and the end result is poor plant growth if any at all. It’s certainly not surprising that a 180W system such as this won’t provide you with the amazing grow results you’d expect to achieve with a 1000W system, but it’s doubtful you’d want to spend your money on a system that doesn’t do much of anything at all. If the claims made against this product are true, you’re probably best to spend your money elsewhere. The other major concern I have with this lighting system is that there are far too many complaints about it failing after only a couple of months. While it may not be an extreme amount of money, $200 is still a lot of money for something that doesn’t work right. A product that fails after only a few months of use simply isn’t acceptable. The Apollo GL60LED simply has too many question marks for me to feel comfortable recommending this product. 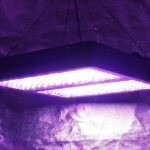 It’s a low-wattage lighting system which doesn’t seem to provide enough adequate light for proper plant growth, and there are too many complaints about the product failing after very little use. The price tag might be okay, but not if the lighting system isn’t going to work the way you need it to perform.